Using powerful jet propulsion, some squid species are able to exit the water and become airborne; this is a common behavior seen throughout the world’s oceans. However, direct scientific observation is rare, with most studies relying on anecdotal evidence and limited photographic documentation. Here, we examine the flying behavior of young oceanic squid (Ommastrephidae) observed in sequential photographs taken in the Northwest Pacific (35o34.0′N, 146o19.3′E) on July 25, 2011. We define four phases in the flight process: launching, jetting, gliding and diving. During flight, squid actively change their aerial posture and attitude depending on the flight phase and their distance from the water. 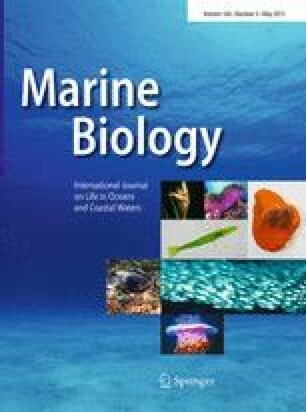 The present study demonstrated that flight of squid is not simple gliding after incidental exit from the water, but involves jet propulsion, generation of lift force and control of different body postures in different flight phases, which have evolved to enhance escape from predators. We thank Dr. Y. Watanuki and the officers and crew of T/S Oshoro Maru. The manuscript was greatly improved by the constructive comments of 3 anonymous reviewers.